Dr. Horowitz provide excellent care to patients throughout Baltimore. His training and focus set the stage for a dynamic professional relationship with each plastic surgery patient. 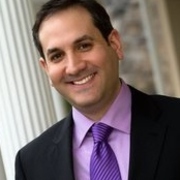 Dr. Jeffrey Horowitz is a board certified plastic surgeon who delivers world-class results to patients in his community. He understands that each Baltimore plastic surgery patient’s needs are unique, and that by sharing his gifts and compassion, he can help you express your true self at every stage in your life. Dr. Horowitz views his work as an extension of himself, and he is committed to the highest standards of patient care. In addition to being fully trained in both general and plastic surgery, Dr. Horowitz is one of the few surgeons who has completed a formal one-year fellowship completely devoted to cosmetic surgery. During his training in New York City, he learned the most advanced techniques from some of the most accomplished cosmetic surgeons in the world. Rigorous academic study and extensive fellowship training with top national experts ensures that his patients have a relaxed and positive experience throughout. Envie três fotos hoje e veja uma simulação 3D durante sua próxima consulta com Jeffrey Douglas Horowitz. Veja seu atual corpo/rosto em 3D antes da consulta e tenha acesso desde casa para ver simulação e compartilhar com amigos depois da consulta e assim tomar uma decisão mais segura. Depois da consulta com Jeffrey Douglas Horowitz, é possível pedir acesso e também compartilhar com seus amigos e familiares e ter opiniões.